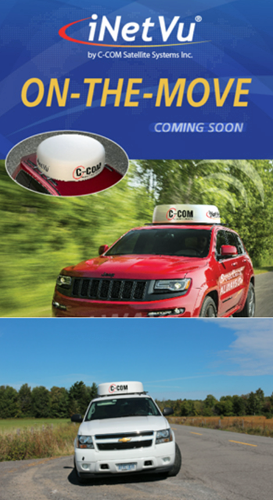 C-COM has been working closely with ViaSat to develop a cost-effective mass-producible Ka-band COTM antenna system. The first Beta units will be undergoing additional tests at C-COM’s facilities in August. These antenna systems are expected to be approved on Exede® and KaSat HTS services in the USA and Europe. The initial results for the iNmotion have been positive and the company is continuing compliance testing with Eutelsat over the summer. C-COM showed the system at NAB and the firm is currently writing a White Paper regarding the use of the system near Area 51 in Nevada. Full production and approvals for this system are expected in 2018.